Get Em High » McLaren 720S vs. McLaren 675LT on the Autobahn! 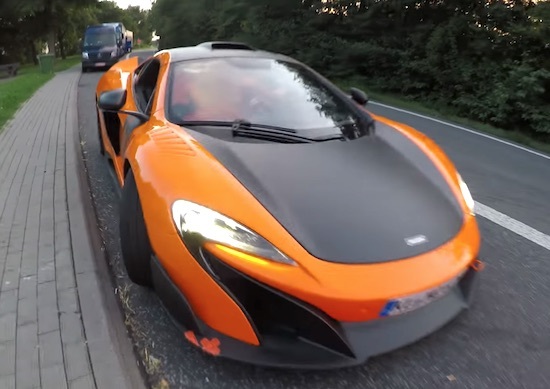 McLaren 720S vs. McLaren 675LT on the Autobahn! The plan being to hold a drag race. But the driver of the Longtail didn’t quite seem to grasp the concept of using the horn to kick off a race. As such, the closest the two supercars got to a fair fight comes from the action you’ll find at the 2:43 point of the clip, with the action, nevertheless seeing the mid-engined delights getting close to 200 mph.